Hi there everyone, and Happy Friday! I have a CAS card with a twist for you today. 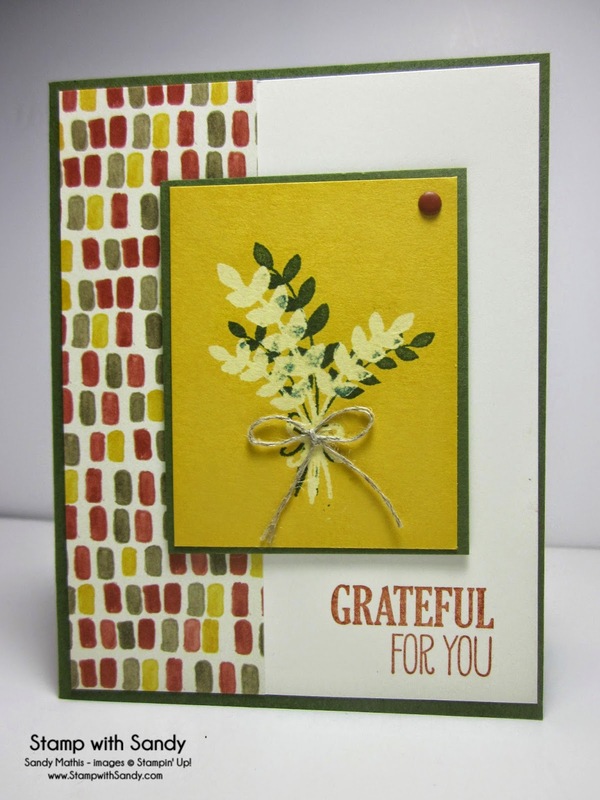 My card was created with the For All Things Stamp Set. 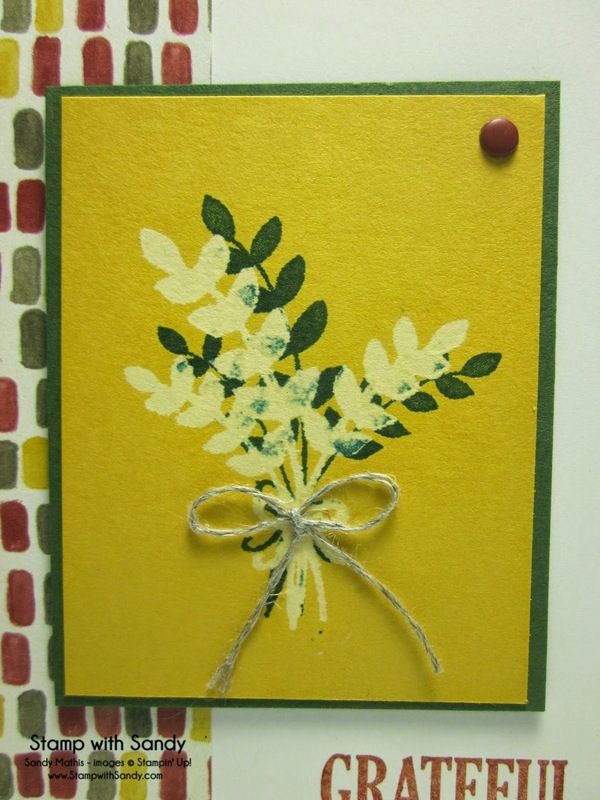 The darker layer of leaves was stamped with Mossy Meadow ink onto Crushed Curry Card Stock. My twist is that bleach was used to stamp the lighter sprig of leaves. Though I didn't use an actual tag, I think this creation works perfectly for the sketch this week at Freshly Made Sketches by Karren. To stamp with bleach, use an old rectangular shaped plastic takeout container or similar plastic container. 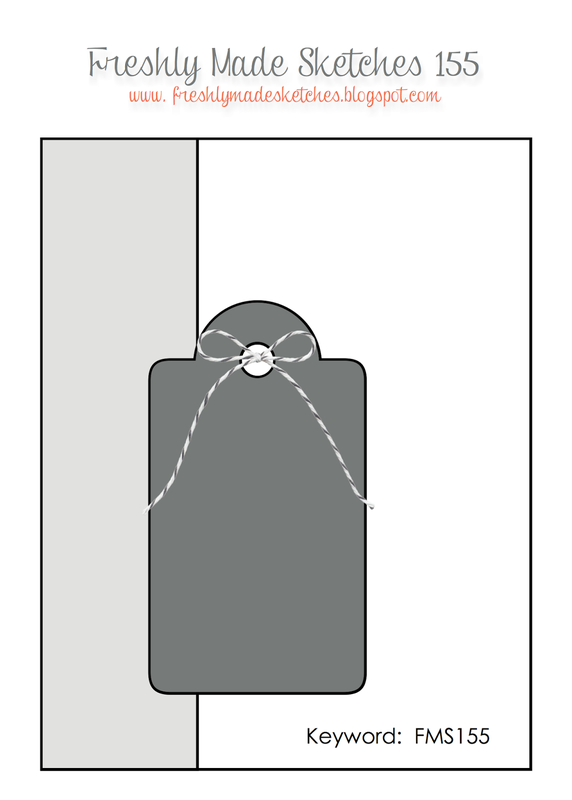 Fold up a few layers of paper towels on the bottom to form a stamp pad. Moisten the paper towels with bleach until they are moist but not drippy! Then just stamp onto your 'bleach pad' and stamp. The image will not appear instantly, but over a minute or so, almost magically! Make sure you run your stamp pad under water immediately after so it doesn't get dried out. I love that the darker color ink bleeds through a bit. 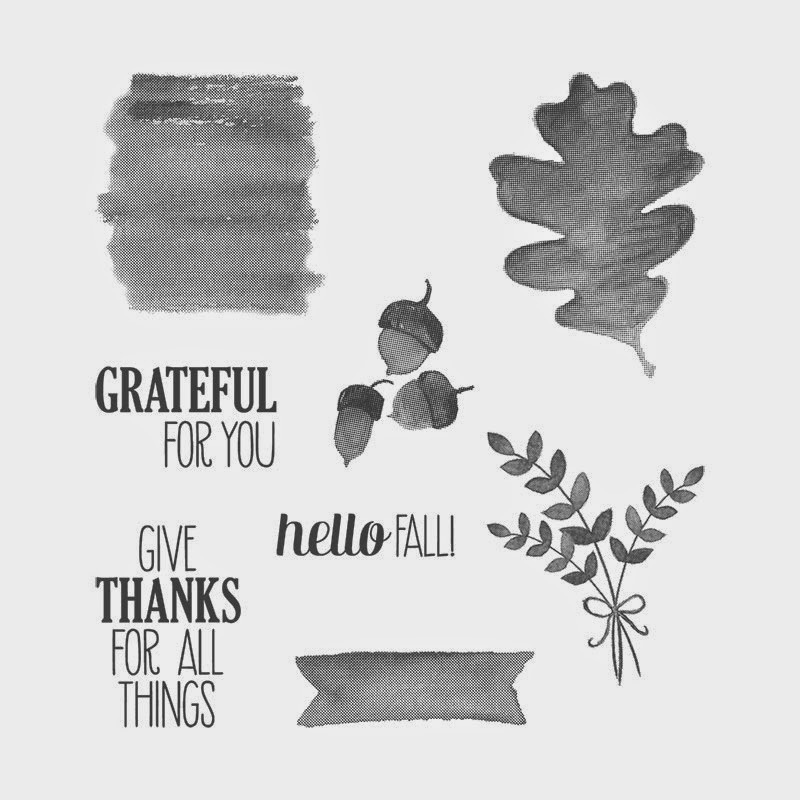 This is so clever Sandy - love those bleached leaves, such a great effect! Great technique! I am too chicken to try it but you rocked it! Glad you joined us at FMS! Great card Sandy! I love those colours! So perfect for fall! Love the bleach technique! Thanks for joining us this week at Freshly Made Sketches!